Treatment is directed at reducing inflammation by using over-the-counter pain relievers such as ibuprofen, Tylenol or naproxen. Common sense home remedies such as rest, ice and elevation should be utilized. Physical activity must be reduced so that the pain is tolerable and further inflammation is avoided. Autoimmune arthritis requires consultation with a doctor who can discuss prescription medications for pain and to modify the immune system's attack on the body. The treatment is geared at alleviating tension and inflammation of the patellar tendon. Reduce activities, ice, rest and elevate the affected leg on some pillows. Tight muscles, lack of physical conditioning or intense exercise can all trigger patellar tendinitis. Physical therapy may help to strengthen the muscles around the knee joint and increase flexibility. Treatment is rest, ice and OTC anti-inflammatory medications. If an infection is present, antibiotics are required. If an infection does not resolve with antibiotics, surgical drainage may be required. Any exacerbating activity needs to be avoided. Those with occupations requiring kneeling should wear kneepads. Treatment is reducing any repetitious activity, applying ice and elevating the knee. Pain relievers such as ibuprofen, Aleve and Tylenol are helpful. Consider compression with an ACE wrap or compression socks to provide support and relief of symptoms. Treatment is directed at rest, ice and using OTC pain relievers. A supportive knee brace, knee sleeve or ACE wrap can help decrease pain and symptoms. Physical therapy can help if stiffness and muscle imbalance is present. Kinesiology may also help provide support and allow continued athletic performance in cases of mild symptoms. Backing off from painful activities and sporting activities is an important part of treating this condition. This injury happens when you twist your knee while putting weight on it. 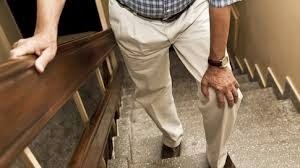 If your knee has already been under a great deal of pressure, such as with frequent squatting, the cartilage can tear much more easily. The tendon that runs down the outer side of the knee can sometimes become tight, and when you move, it rubs against the end of the thigh bone. This can lead to pain with movement. More common in athletes and children, this is a disorder in which the patellar tendon pulls away from the bone when under stress, thus leading to a “bump” under the kneecap that causes pain upon movement. While the pain might decrease in later years, the bump becomes permanent.